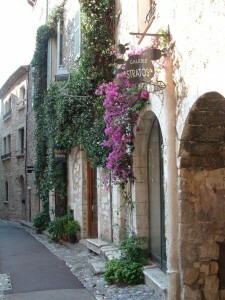 This is my impression of a scene in St. Paul de Vence near Nice in France. It is in watercolour on paper, measuring 162mm × 250mm. It is called ‘Galerie.’ While I was still at Nice I began laying it out in pencil from a photo I took and printed at 15cm × 10cm. The lantern in the photograph just above seems to have become part of, perhaps, a bay window in the painting on top. It is difficult for an engineer like me to be happy with a painting they create. Truth can be rather black and white for an engineer. Do not ask me to explain or justify this in engineering terms. I am wearing my impressionist hat! 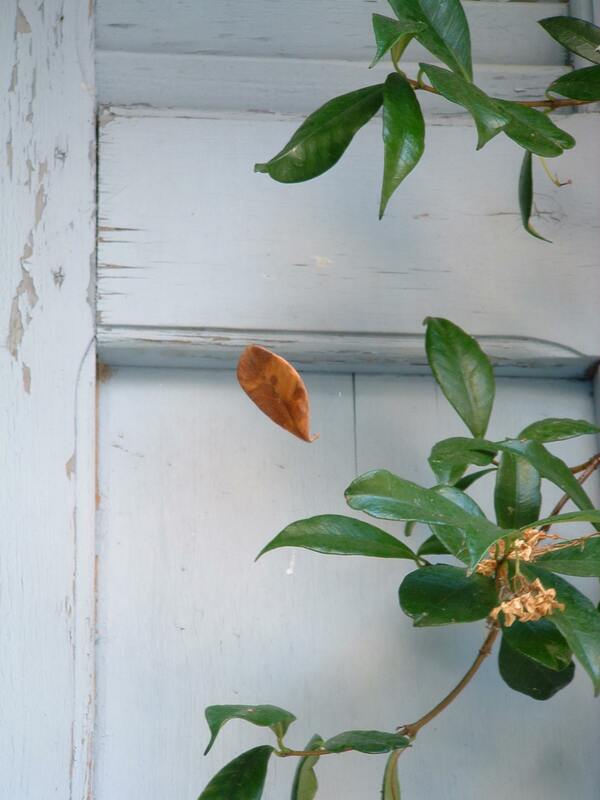 For any engineers who happen to be interested in the suspension of leaves by spider’s webs, click on the photo below to open a full size version and zoom in to see the web. Nice! 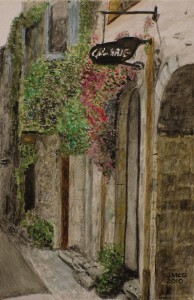 This entry was posted in Paintings and Drawings, Photographs and tagged spider web, St. Paul de Vence, suspension on July 29, 2010 by admin.